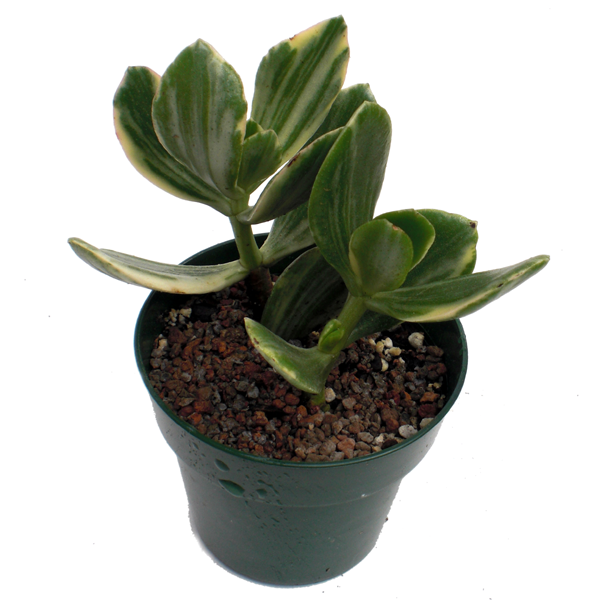 A cream-colored and green striped version of the classic Jade, tinged with pink if grown in sunny locations. Use as striking focal point in dish gardens or trim into bonsai. Very hardy.